As you all may know, Prince Hanoi Hotel Group which currently has 4 branches at No. 41 Bat Su St, No. 8 To Tich St, No. 42b Hang Giay (10b Noi Mieu) St and No. 15 Trung Yen St, are becoming very popular within the circle of tourists and travelers owning to its outstanding location, elegant decoration, top quality services and facilities served by the professional staff. 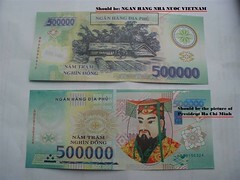 That results to many recommendations from one traveler to another visiting Hanoi to come to our hotels. However, some travelers reportedly had trouble with the taxi transportation from Noibai Int`l Airport to Prince hotels. Sometimes the driver purposely tried to scam guests by sending them to a certain hotel with an inconspicuous signs. There, upon arriving, some man quickly came out, with a Prince hotel card in hand and told the passengers that they did arrive at Prince Hotel but it was full at the moment. He then said that they had a "sister hotel" just a few blocks away. Then, passengers are sent to a different hotel of lower standard where the driver gets some commissions from that hotel owner. No one can eventually guarantee the service of the latter hotel, or predict what scam will come next. As such, it is highly advisable that every traveler to Hanoi in general and to Prince Hotels in particular should be alert not to totally depend on either the taxi driver or hotel staff that he recommends. Instead, it should be required that the street and hotel signs be pointed out to the traveler by the driver so that one knows whether she is being transferred to the right hotel. Warning 2: FAKE REVIEWS on TripAdvisor website! Have a safe & happy travel in New Year 2010 to all! Travelers are frequently led to foreign currency exchange venues by airport bus drivers. 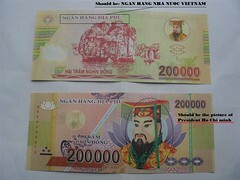 At these exchanges they are given a poor exchange rate, e.g., 18,000 VD for $1 USD rather than the standard rate at http://www.vietcombank.com.vn/en/Exchange%20Rate.asp. In addition the driver receives a commission from the foreign exchange seller.